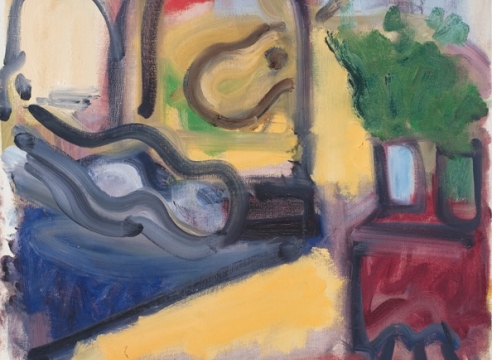 Bridging the gap between European Modernism and Abstract Expressionism Robert De Niro, Sr. (1922-1993) deftly blended abstraction and representation, cleverly referencing European masters from Delacroix to Matisse. 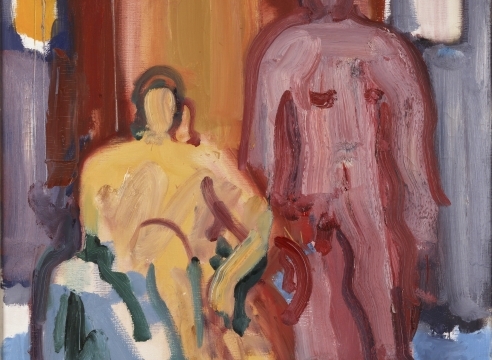 Characterized by his use of line, gesture, and movement, De Niro’s work is grounded in the act of painting and drawing. 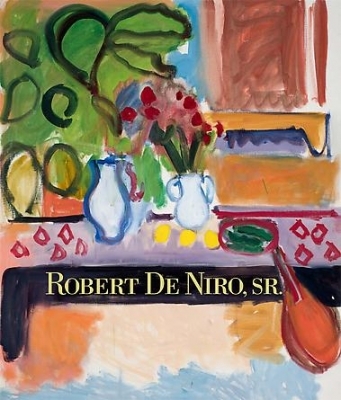 With his profound understanding of art history, De Niro maintained the tradition of representational painting, eschewing the tide of abstraction, championed by many of his contemporaries, remaining faithful to his own uncompromising vision. In the late 1930s and early 1940s, De Niro studied with both Hans Hofmann in New York and Provincetown and then with Josef Albers at the reknowned Black Mountain College in Asheville, North Carolina. As well, during this time, De Niro worked for Hilla Rebay’s legendary Museum of Non-Objective Art, the foundation of Solomon Guggenheim's Museum. In 1945, he was included in a group show at Peggy Guggenheim’s Art of This Century in New York and the following spring, had his first solo exhibition with the gallery. 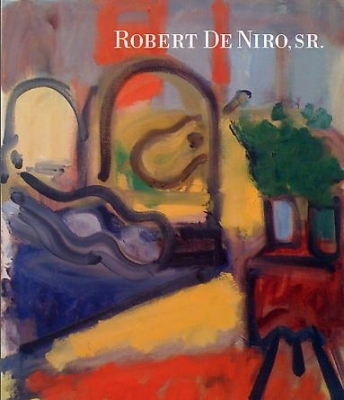 Beginning in 1950, De Niro had a series of exhibitions at the Charles Egan Gallery in New York, which also showed the work of Willem de Kooning, Franz Kline, Philip Guston, and exhibited works in the Whitney Museum Annuals, Stable Gallery Annuals, and the Jewish Museum’s celebrated 1957 show, Artists of the New York School: Second Generation. By this time, De Niro had arrived at his distinctive mode of painting, which he continued to explore and develop for the next forty years. 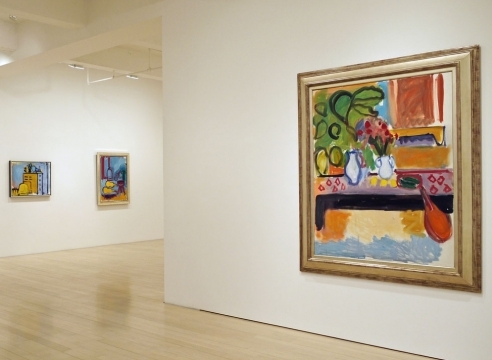 His works from these decades are expressionistic, radical stylizations that feature his signature post-Fauve palette with freely brushed areas of color defined by strong outlines. 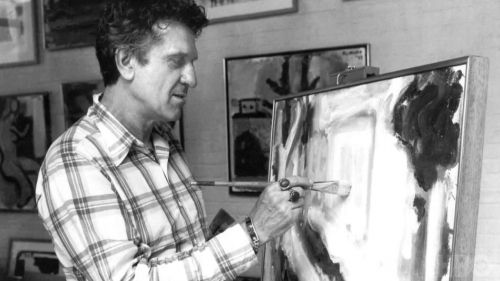 Through his bold, reductive arrangements of shapes and colors, he created rich visual experiences that resonate in his vital art. Robert De Niro, Sr.'s work is in the collections of numerous institutions including the Metropolitan Museum of Art, NY, Brooklyn Museum, NY, Smithsonian American Art Museum, Washington, DC, Hirshhorn Museum and Sculpture Garden, Washington, DC, Corcoran Gallery of Art, Washington, DC and Whitney Museum of American Art, New York. 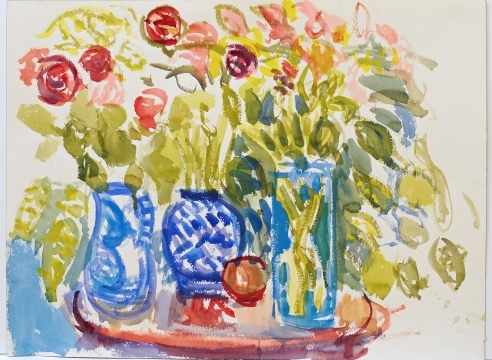 In 2009, a retrospective of his work was presented at the Musée Matisse in Nice, France. Artinfo: Intimate Portrait of the Life and Work of Robert De Niro, Sr.
artdaily: DC Moore opens first exhibition as the exclusive representative of the Estate of Robert De Niro, Sr.